It is located in the rolling countryside of the Golden Vale. The area around Churchtown has been settled for c.4000 years; a Bronze axe head found in the parish and so too were the remains of a Great Irish elk. A Pre-Reformation church ruin stands in the village graveyard. It is over 1000 years old. The history of Churchtown is recorded in the ancient manuscript ‘The Pipe Roll of Cloyne. In 1291, Odo de Barry presented Robert Cheusner with the Vicarage of Bruhenny. The Barry family held sway here from early Norman times to the reign of Elizabeth I, along with the Fitzstephen and De Cogan families. From then on, the Percivals under Richard Percival Lord Twickenham bought large tracts of land in Cork and then received grants of confiscated Barry lands. Including the great Liscarroll Castle. The Percivals held sway until the sale of their lands under the Ashbourne Act of 1895. Churchtown village was burned in c.1822 and rebuilt between 1820-46 in the shape of a square. 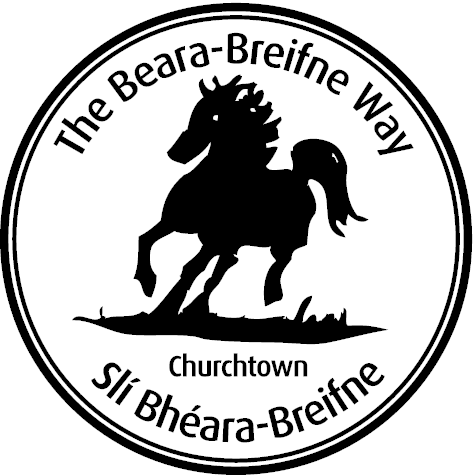 Churchtown has been home to many a famous and infamous name: hometown of Boss Murphy’s; the racehorse trainer, Dr. Vincent O’Brien; Gaelic poet Sean Clarach MacDomhnaill; and Napoleon’s favourite doctor, Dr Barry Edwards O Meara. The actor Oliver Reed also lived here and now rests in the graveyard.